Lead generation is pretty easy when you know how. It can, however, be expensive and time consuming. In the financial market, a fairly standard way to generate leads online is by offering ‘investment guides’. Unfortunately, too many of these are standard sales brochures and don’t offer the customer anything more than they would get from browsing the provider’s website for a few minutes. When we set out to create the Investor’s Guide to Spread Betting, we wanted to create something that had genuine educational value as well as providing a marketing pitch for our product. Customers need to feel that in return for their contact details they will receive something worthwhile. Creating a good lead generating tool such as this requires a significant investment of time. In our case, we required a number of contributors (including a paid-for article by an industry expert), thorough editing and design. To ensure we saw a significant return for this investment, we needed to ensure the guide could be used in a variety of ways. 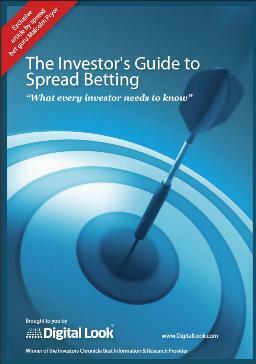 The Investor’s Guide to Spread Betting was circulated to readers of the Investors Chronicle, used in hard-copy at investor exhibitions and at customer seminars. The PDF version was used on the Digital Look website (promoted via display ads and text ads), on PPC search advertising and pushed out via external mail providers. The guide was downloaded over 10,000 times. And a significant number of these leads quickly became paying customers. Download your copy of the guide here (and no, you don’t need to provide your contact details! ).